Things are moving along nicely. The salon interior has just been finished and work has moved on to the forward bathrooms. 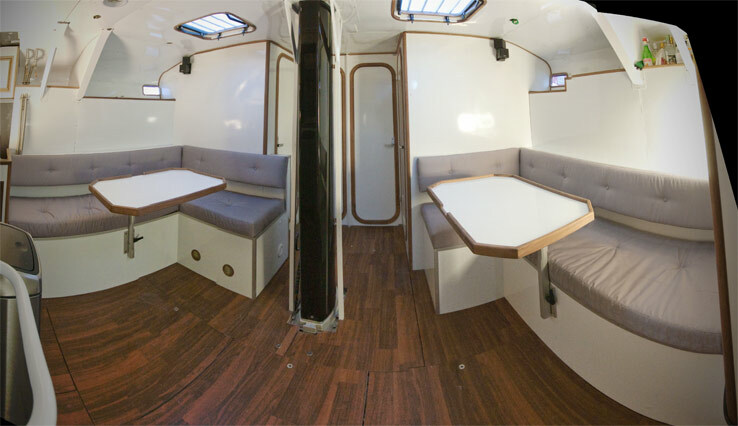 There is comfortable seating space for 9-10 people with this layout. I have also implemented the bar, as you can see in the upper right corner. 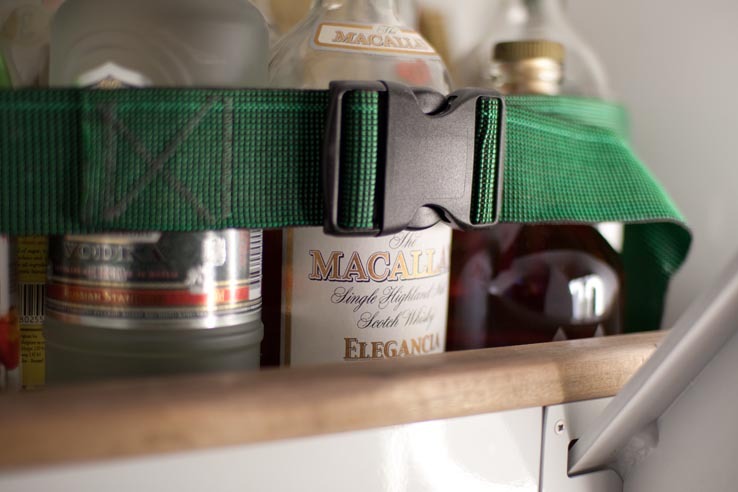 The bar has been equipped with the cargo securing system that I will put in throughout the boat: Very strong elastic ribbons, closed by adjustable slip locks. So you will have bars spead out all over the yacht? And that also can expand with the support of those very long expandable slings ;-) Beware Viking Line!